South Australian based ISP Internode has announced that itself & a group of 9 other ISP’s are partitioning the ACCC to compel Telstra to provide wholesale ADSL2+ access. This entry was posted in Internet / Online and tagged ADSL2+, Internode, Telstra on February 25, 2008 by JAB_au. After years of being a stubon little sook, Telstra has finally begun the process of enabling the ADSL2+ capabilities of it’s DSLAMs. In a move that is sure to raise the eye brow of it’s competitors Telstra has begun to offer it’s retail customers ADSL2+. My personal opinion is that anyway silly enough and disparate enough for an ADSL2+ service that is restricted to 20MBits/512Kbits is pretty in for a rude shock when they get there bill. 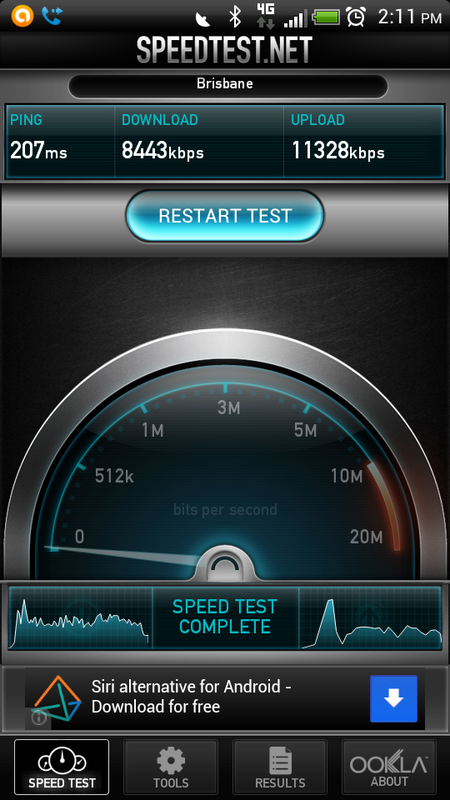 This entry was posted in Internet / Online and tagged ADSL2+, Telstra on February 7, 2008 by JAB_au. The Australian Federal Government has announced finally the sale of it’s controlling share of Telstra. I give you $0.50 a share and your on. 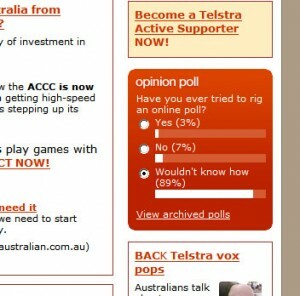 This entry was posted in Internet / Online and tagged Telstra on August 25, 2006 by JAB_au.